There are a lot of studios in the city. This one, however, was built with the creative process in mind. But in the right places, it flows. It syncs us into the inner place. To create music as timeless as you were intended to be. 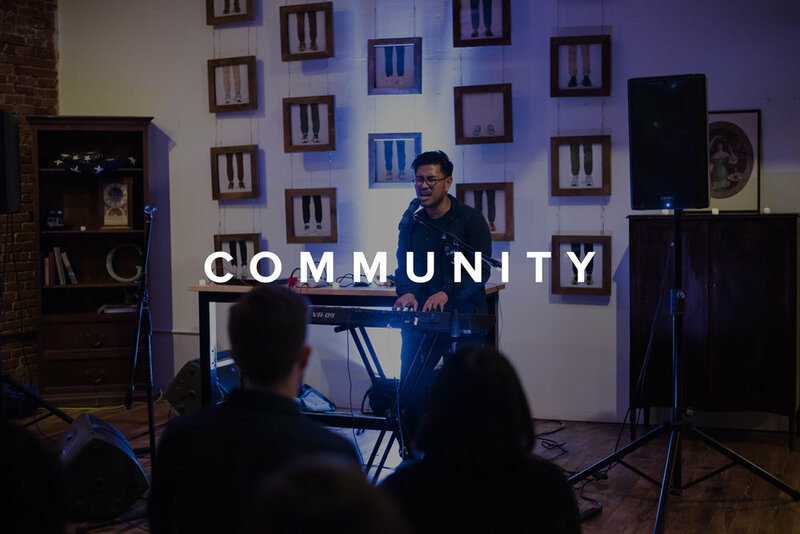 Drawing from our vibrant community of artists and music industry professionals, we produce events to uplift, amplify and connect the creatives in our community. Our Forecast Open Houses partner with music companies, from software developers to record labels, and invite our diverse network of artists and industry professionals to socialize and connect. Our Hidden Sounds Showcases present the best emerging talent from within LA and around the globe, often co-curated and presented by industry tastemakers. Forecast is a recording studio, creative hub and home for artists across the world. We're a community that provides the resources and space for artists to create and showcase their work in Los Angeles. Beyond our beautiful studio space, we host showcases for artists, industry mixers and parties to activate our network, and provide strategic consulting for brands and studios who wish to integrate the best of emerging music. Hollis is a singer, songwriter, performer and public speaker. She is the lead singer of The Flavr Blue and was Grammy nominated in 2014; her single with Macklemore and Ryan Lewis was three times platinum. Hollis manages bookings at Forecast as well as directs programming of artist showcases. Tim has been senior engineer and head of studio operations since 2003. He has worked with artists from Hyolyn to MC Jin to Run River North, and has also consulted for dozens of companies in business planning, market research and projections, specializing in companies applying for the EB5 visa investor program. Dave is an engineer, graphic designer, and recording artist under the name "jy". He manages the team of engineers and producers at Forecast. Notable clients of his include Jeremih, Little Simz, and JMSN.